The question often arises of how much money do actors really make? The best answer you will get is that it all depends. Of course it does, but that doesn’t mean that what it depends on can’t be explained. There are a few things to be known before you jump into the variables of the money making acting career. The first is that most salaries based off a movie are hit or miss. They either make thousands, if not millions, or they only make enough to where they are considering doing a side job. The second note to take is that how popular, how a-list, or how desired an actor or actress is, is only a miniscule correlation to how much they make. There is a reason that nearly all actors have personal agents that work for them and get them roles. If you want to earn the largest sums of money per movie, commercial or play, hire the absolute best agent that can make it happen. The last factor to understand about the money making theme of actors is that the range varies so incredibly much that you have to take into account every possible variable in order to even guess the amount they will take in from a movie. You will find all variables taken into account when following the income chain of acting below. 1st Chain: As it goes for becoming an A-class artist, singer, construction worker and in this case, an actor, everyone starts from scratch. When you start from scratch, all future employment is based off of experience. In order to get that experience, you start by working for free. This is special because working for free is a lot different than working for cheap. If you work for a cheap wage, then you get a cheap role. On the other hand, when you work for free, of course they would put you in the lead role if you are good enough and they don’t have to pay you. 2nd Chain: The next link of the chain is when you begin doing small gigs such as college plays, community theater or a traveling theatrics show (yes they still have them). Now this income chain of acting is typically paid minimum wage and is based on the hours you work. Depending on the experience you have from the first chain of acting, you can make up to $12 an hour. 3rd Chain: This next link in the chain is a duplicate. You can now put your acting skills into a commercial and get paid $50 – $500 for each commercial. I note that this is a duplicate link because the amount you can get paid for a commercial increases as you travel through the rest of the income chain of acting. After gaining more experience in the commercial industry, an actor can begin to get paid royalties, a specific amount based off of the number of views the commercial receives and soon make as much as $15,000 a commercial. 4th Chain: One/two liners, or in other words, the short role in movies is where many actors are stuck and also the time when many get agents in order to move them up the totem pole. These roles can expect $200 – $800 flat rate. Combine it with another part time job and you will have enough to hire a decent agent. 5th Chain: After hopefully a short period of time, you will land in a supporting role. Supporting roles can now average $5,000 to $500,000. The difference is not based off so much of experience and credibility; it is calculated by the TV shows or movies success. A supporting actor from a show such as Seinfeld had made over a million. At the same time, a supporting actor from a TV show that never got a second season is likely to be at the lower end of the money spectrum. 6th Chain: An actor entering the lead role can easily make over a million from a movie. As stated at the beginning of the article, by the time an actor takes a lead role, he or she must have an outstanding agent that can negotiate with the production company and the contract, settle for nothing less than a huge sum of the movies earnings before it breaks even in the box office, and be able to work out a contract to gain a percentage of DVD sales. If you are getting a lead role, you clearly have the talent and experience for it and to receive the largest of earnings. However, if you want to earn 100+ million a year like Johnny Depp, you need the absolute greatest agent. Johnny Depp really successful with his role as Jack Sparrow in Pirates of the Caribbean movie(very successful in the market too). I would not be surprised if he makes a hundred million like now … But as you say, it takes a great agent to read the situation, placing the artist, and contract negotiations. And Johnny agent might be a absolute greatest agent…! Truly you’ve inspired to me become a successful actor to make huge amount of money so often :). It’s good to learn how actors are earning and the procedures to earn money not easy at all. To make strong position in entertainment world requite only talent nothing more and those who are expressing their talent nicely are getting rich day by day. 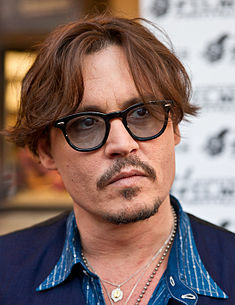 Johnny Depp indeed one of the great inspiration for actors. He is one of the bests talented and versatile actors I’ve every seen so far. Thanks. The ones in the 6th chain are making millions per movie. They also get a percentage of dvd sales. But if millions go to watch the movie because of that actor, they are worth every penny. I watch every movie with Nicolas Cage in it. Really incredible post on acting, I especially like your “chain list” to break down the levels of money an actor can make. I’m bookmarking this to add to my All Things Acting blog!